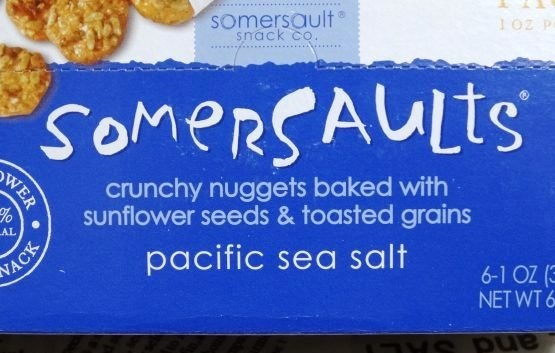 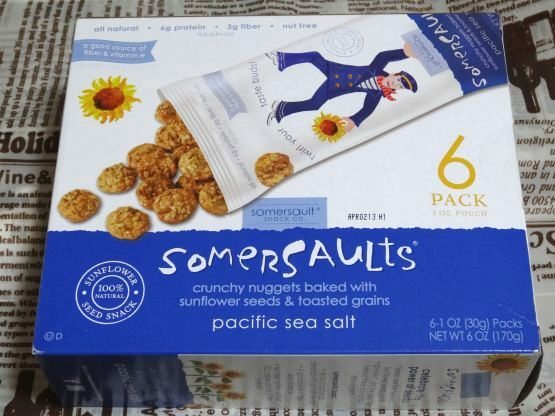 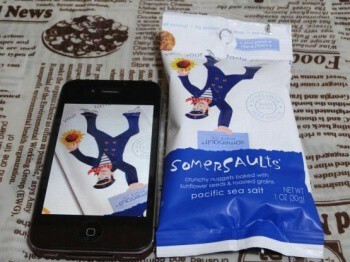 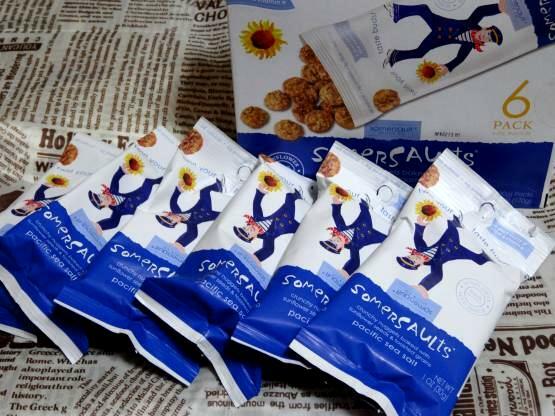 IngredientsSunflower seeds, wheat flour, whole wheat flour, sesame seeds, vital wheat gluten, expeller pressed high oleic sunflower oil, chicory root fiber, organic evaporated cane juice, sea salt. 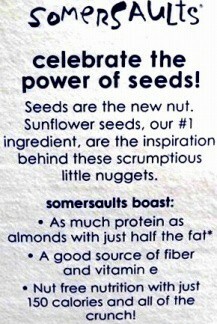 Seeds are the new nut. 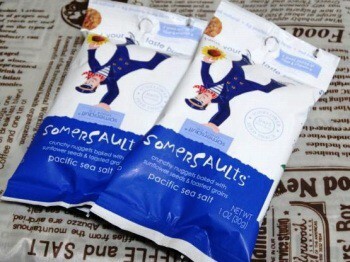 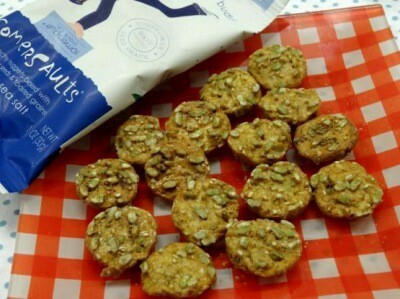 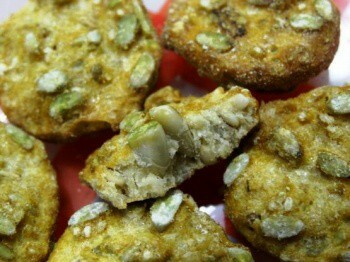 Sunflower seeds,our #1 ingredient,are the inspiration behind these scrumptious little nuggets. 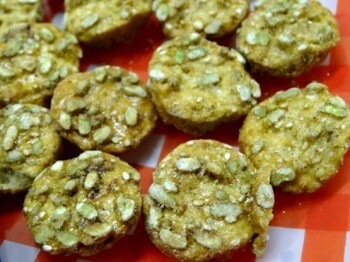 Nut free nutrition with just 150 calories and all of the crunch!